About Us | General Highway Products, Inc.
General Highway Products consists of a group of highly dedicated employees and management staff, recognized as one of the most reliable companies in the transportation industry since 1979. 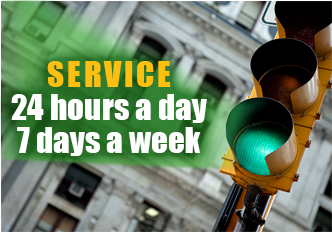 Our reputation has been built on our record of service and integrity, with the ability to provide service 24 hours a day, 7 days a week, 365 days a year. With our extensive inventory we can satisfy all of our customers’ needs expeditiously. General Highway Products is located on a two acre complex in the Lawrence Park Industrial Park, Broomall, Pennsylvania. From this site GHP is able to quickly service Eastern Pennsylvania, New Jersey and Delaware. We also have remote offices in Harrisburg and Altoona to cover central and western Pennsylvania.